Morgan Griffitth (R-Virginia) and Earl Blumenauer (D-Oregon) filed federal legislation this week that would reschedule cannabis and cannabidiol (CBD). 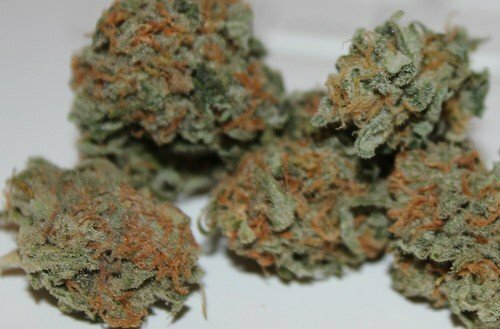 Specifically, the Compassionate Access Act would “reschedule marijuana from its current position as a Schedule 1 drug under the Controlled Substances Act, which asserts the drug has no medical use and limits the ability of researchers to study the drug’s safety and effectiveness as a treatment”. This would “allow the states to provide appropriate access to patients needing these legitimate, medical treatments under the supervision of their physician”. According to a press release, the proposal is supported by the Epilepsy Foundation, the American Academy of Neurology, and Americans for Safe Access. “This makes no sense”, he adds. Repeal is the best option and let the states handle cannabis. Recreationally and medically! Obama is about to say tomorrow on the the CNN Special Weed 3 that Schedule II is the way to go. NOT, NIL, ADIOS! Schedule II would turn over cannabis to big pharm and only purchasable through drug stores. NOT, NI, ADIOS please! Cannabis SHALL be removed from CSA “Schedule I”, and placed in “CSA Subchapter I, Part A, §802. Definitions, paragraph (6)”, appended to the list “distilled spirits, wine, malt beverages, or tobacco”, where it will STILL be the least-toxic in the category [by several orders of magnitude]. In other words, completely EXEMPT from CSA scheduling. Anything short of that is unacceptable. Excuse me if I don’t embrace the idea of rescheduling cannabis, unless it’s rescheduled OUT of the CSA completely. And WTF is up with the use of the term MARIHUANA in this bill? It carries the racist baggage of early prohibition and I find it idiotic and OFFENSIVE. WTF?